Although there's no firm date, the cloud-storage company SugarSync will be making an official Windows Phone 7 client sometime in 2012. This follows after an unofficial announcement back in September 2011. In a letter sent to all customers (we're one of 'em), the CEO of SugarSync Laura Yecies detailed what they accomplished in 2011 and what they are expecting in 2012. In the latter part (as seen below) is where the company is announcing a client for Microsoft's mobile OS along with an iPad version. 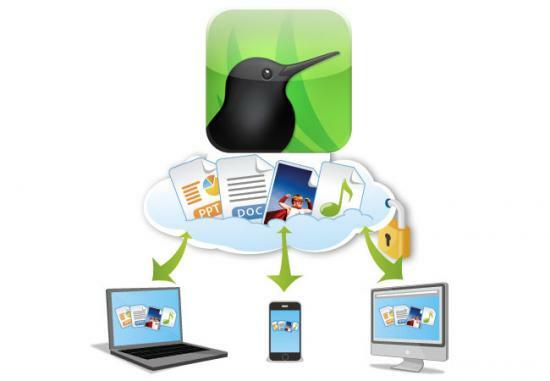 SugarSync is a lot like Dropbox where users can have a free and paid accounts with online storage of files, including the ability to sync via your desktop. Presumably a Windows Phone client shouldn't be too hard to make, so hopefully we'll see this in the first half of 2012. For more info, head to www.sugarsync.com. As we look back on 2011, we're happy to say that this has been an extremely exciting year here at SugarSync. We have had explosive growth in 2011 – with a 6X growth in users – and we now have millions of users worldwide. We've also signed major partnerships with Lenovo, SanDisk, Fujitsu, France-Telecom Orange and more to help expand our reach internationally and add value for our users. Looking back on 2011 not only helps us remember all that was accomplished, but it also keeps us excited about all the new features we're currently working hard on to bring to you in 2012. As a reflection, I've compiled a list of links to some of the cool new things we launched in 2011. And following this list, I want to give you – our loyal users – a sneak peek at what's coming up in 2012. 1/25/11 – Desktop/Web update. We added new features to streamline sharing and make everything easier for you to use. 2/14/11 – Symbian S60 3rd edition App. For our international users who love Symbian, we rolled out a new app for Symbian's most popular version for you. 3/23/11 – Desktop/Web update. With this system update, we simplified the setup process for you and enabled PayPal support, giving you an easier way to pay. 3/28/11 – New iOS App. This was our biggest iOS update to date, and we added simpler link sharing, the ability to save mobile photos to your computers, multiple file and folder selection, and more. 4/25/11 – AutoSync for Android. With this release we introduced AutoSync, the fastest, easiest way to move your mobile photos and folders between your Android devices and computers. 6/14/11 – Mobile Device Management and new BlackBerry app. This gives you the ability to control data on your iOS mobile devices from the SugarSync Web console. 8/23/11 – New BlackBerry App. New features in this app included offline use, sync from device's SD card, and PIN code for additional security. 9/20/11 – Text Editing, iOS app update, and Mobile Device Management for Android devices. The new iOS app added text editing, and we extended the mobile device management feature to Android so you can control your Android devices from your computer. 10/18/11 – SugarSync for Outlook. Our SugarSync for Outlook plugin enables you to send files directly from Outlook. 11/30/11 – Optimized Android app for the Kindle Fire. Since so many of you were excited about the Kindle Fire, we optimized our app to ensure that it works perfectly with the new device. And on a personal note, in 2011 I launched a new personal blog – The Kitchen Sync – where I discuss work, life, the Cloud, and other topics. So if you're interested in getting updates from me, please feel free to follow my posts there. While we're very proud of this list (as well as many other smaller updates that were not listed here), we're also excited about all the great developments we have in the pipeline. 2012 is going to be an even more exciting year than 2011. 1/4/12 – AutoSync of Videos for Android. In January we updated our Android app to extend our AutoSync technology to mobile videos. 1/4/12 – Better Photo Experience in iOS App. Also in January, we updated our iOS app to include a new photo tab experience, upload of multiple photos at once, and the ability to control image quality. Thanks to you and your feedback, SugarSync continues to evolve and grow. If you have any additional feedback, please send it to me at laura.yecies@sugarsync.com. We're already hard at work on these new features above (and so many more), and we vow to continue to improve SugarSync so that we can remain the best Cloud service. And remember, SugarSync is even better when all your friends, family and co-workers are using it – so please refer SugarSync to them today! Happy New Year, and thank you for using SugarSync to keep your life in sync.